There’s very few things I like more in the world than traveling, that’s why any book related to traveling, geography or other countries and cultures is a must in our home. While The Worldwide Adventures of Rohini Molini series is in English, I wanted to review it because of its message about teaching children that there’s more to the world than just their town. Rohini Molini is a 5-year-old girl who goes on short adventures to a different country in each book together with her dog Bugle and her little neighbors Jackson and Florence. So far they’ve visited Australia, Spain, India and Thailand. Turkey is next. 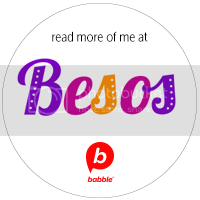 The one about Spain has Rohini and her friends learning about Flamenco dancing, the difference between a siesta and a fiesta, and churros con chocolate caliente (yum!). Each book in the series includes additional illustrated information about each country as well as a map, which gives you the opportunity to expand on the geography & cultural lesson. 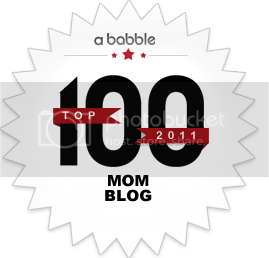 I highly recommend taking a look at their website for lots of activities that go with the books and so that your kids can vote on which country Rohini & her friends should visit next. 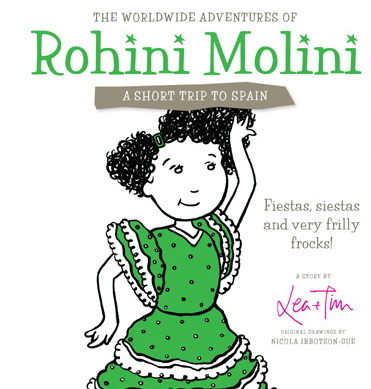 We are giving away one set of four books of The Worldwide Adventures of Rohini Molini to ONE lucky winner! All you have to do is leave us a comment telling us which country you think the authors should include in the series. Then enter the Rafflecopter below. Would love to read the book! Ireland! Can’t wait to check out these books; I know my 4 yr old would enjoy them. 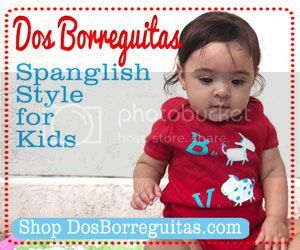 would love to read this book to my daughter as we are planning a trip to Spain next summer. What a cute series! I think they should visit Brazil – between the rain forests, the food and the samba, there would be a lot of fun and learning all at the same time! Terra´s last post ..Follow me on Bloglovin’! Somewhere in the Middle East! I am a faithful subscriber! Brazil, Galapagos, Easter Island, China, Japan, Australia. Belize, the greatest barrier reef in this part of the country. They should visit México, ¡claro! and visit some pyramids. I would love to see Brazil! I’d like to see Honduras included. I’d like to see Italy. I think the authors should include Germany in the series. Southern India. Always wanted to visit that area. Mexico and all of Central America. This paragraph will assist the internet visitors for setting up new website or even a weblog from start to end.